The trend of integrating in-app browsing inside the apps is on the rise; popular apps like Facebook don’t want you ever to leave their platform. Still, you can’t imagine using the web without a dedicated web browser. Talking specifically about Android, there are lots of options available in the Play Store. Just recently, e-commerce giant Amazon too launched its Android web browser app. 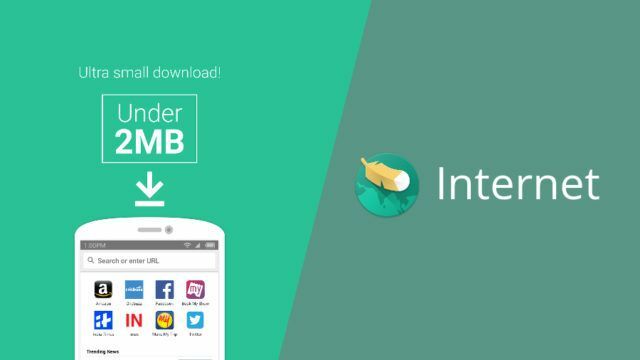 This app is named “Internet: fast, lite and private.” As its name suggests, Amazon’s web browser is lighter in size (under 2MB) when compared to other options like Chrome, Firefox, Opera, etc. It runs on Android 5.0 and higher. It’s worth noting that the app is focused on emerging markets, where data is costlier and low-end Android phones are more common. That’s why the app has been initially launched in India. As per a TechCrunch report, the app was first spotted on Play Store in March, and it has less than 1,000 downloads. Another notable feature of “Internet” is that it claims to refrain itself from asking personal information or indulge in data collection practices. It’s evident that Amazon is following the strategy adopted by companies like Google and Facebook that have developed their lite apps for emerging markets. The company already distribute a Kindle Lite app in India. 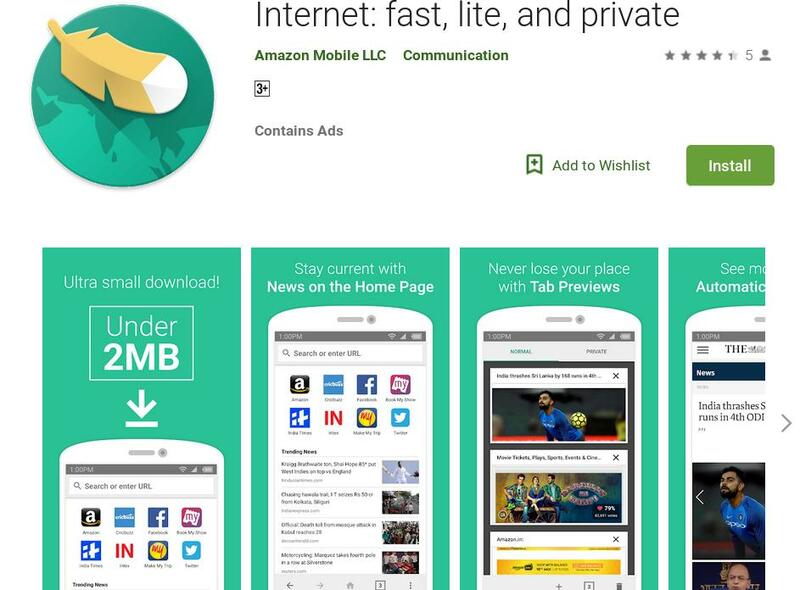 The post “Internet” – Amazon Launches A Lightweight Web Browser For Android appeared first on Fossbytes.